Palms print. 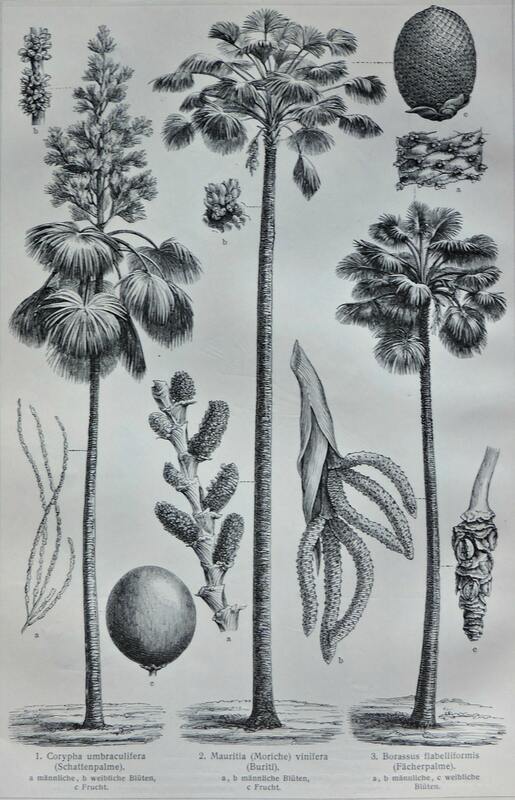 Botany engraving. Old book plate, 1904. Antique illustration. 113 years lithograph. 9'6 x 6'2 inches. Gorgeous print about some palms. 113 years old print. Book plate print. Published by the Institute Bibliographic of Leipzig in 1904. Beech print. Botany engraving. Old book plate,1890 . Antique illustration. 124 years lithograph. 9'6 x 6'2 inches. Plant's Stem system print. 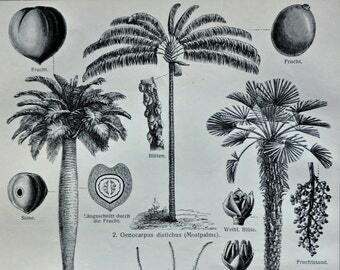 Botany engraving. Old book plate, 1904. Antique illustration. 111 years lithograph. 9'6 x 6'2 inches. Palms. Botany print. Old book plate, 1904. Antique illustration. 112 years lithograph. 6x9'2 inches. Rubber plants engraving. Old book plate, 1904. Antique illustration. 111 years lithograph. 9'6 x 6'2 inches. Willows engraving. Botany print. Old book plate, 1904. Antique illustration. 110 years lithograph. 9'6 x 6'2 inches. Typewriters engraving. Old book plate, 1897. Antique illustration. 121 years lithograph. 6 x 9'2 inches. Birch print. Botany. Betula. Old book plate, 1904. Antique illustration. 110 years lithograph. 9'6 x 6'2 inches. Elm print. Botany. Old book plate, 1904. Antique illustration. 111 years lithograph. 9'6 x 6'2 inches. Ancient ceramic engraving. Old book plate, 1897. Antique illustration. 117 years lithograph. 11'7x 9'2 inches. Pears print. Botany print. Old book plate, 1904. Antique illustration. 111 years lithograph. 9'6 x 11'7 inches. Vascular bundle. Vascular tissue. Botany print. Old book plate, 1904. Antique illustration. 111 years lithograph. 9'6 x 6'2 inches. Plants used in industry. Botany print. Old book plate, 1904. Antique illustration. 112 years lithograph. 9'6 x 11'9 inches. Plants that provides oils and fats. Botany print. Old book plate, 1904. Antique illustration. 111 years lithograph. 9'6 x 11'9 inches. Plants sheets. Botany print. Old book plate, 1890. Antique illustration. 125 years lithograph. 9'4 x 11'7 inches.